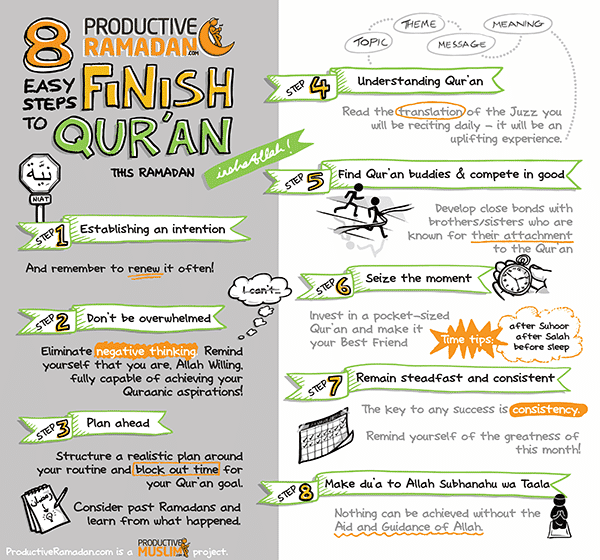 The Ultimate Ramadan Tools Review: Worksheets, Planners, Apps and Doodles! 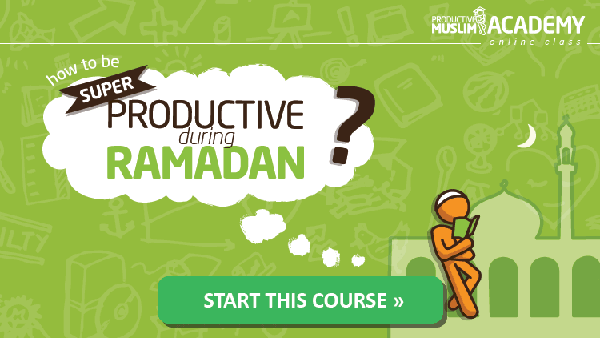 With all the good stuff going around about getting prepared for Ramadan and making the most of it, we want to give you the tools you need to convert all that great information into solid action: starting now! 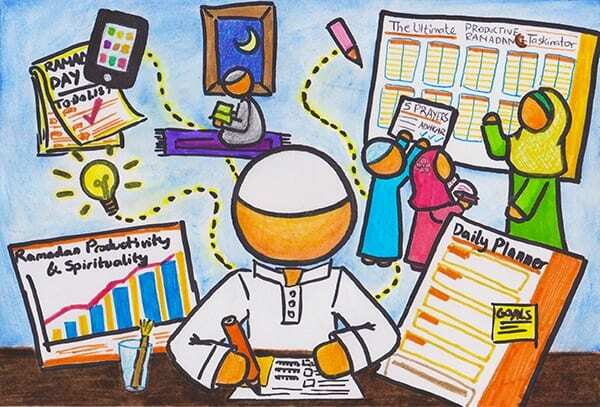 So here’s a mega review of all the worksheets, planners, apps and doodles you can make use of to maximize your time, energy and focus this Ramadan and reap as much reward as you can, inshaAllah! 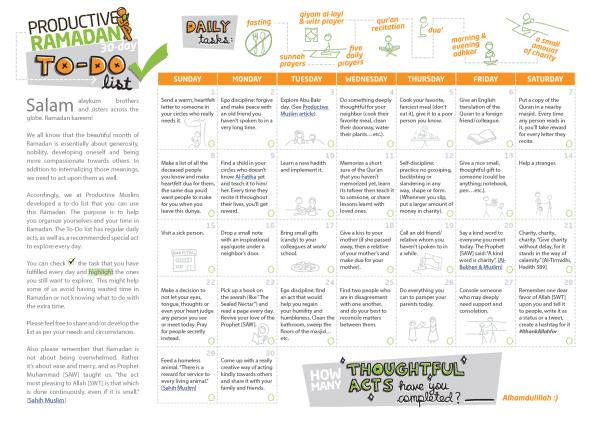 The to-do list has regular daily acts, as well as a recommended special act to explore every day. 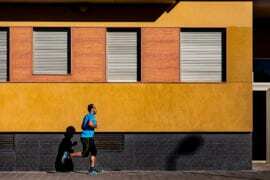 You can check the task that you have fulfilled every day and highlight the ones you still want to explore. 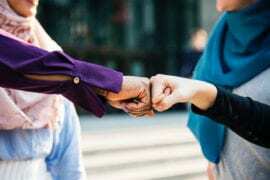 This exciting list gives you ideas of good deeds you can do in your extra time as well as deeds you may have missed out on doing for a very long time! The Ultimate Ramadan Taskinator applies the same concept as the Daily Taskinator, but with a bird’s eye view of the whole month in one glance. The Ultimate Ramadan Taskinator allows you to list and accomplish 3 to 5 of your most important tasks everyday in the four areas of productivity: physical, spiritual and social. Using the Ramadan Taskinator is extremely easy and simple: you just book times for your most important tasks by writing them down in the appropriate time block of the day. Once you’ve placed the most important tasks in place, you can fill out the rest of your schedule for the day. 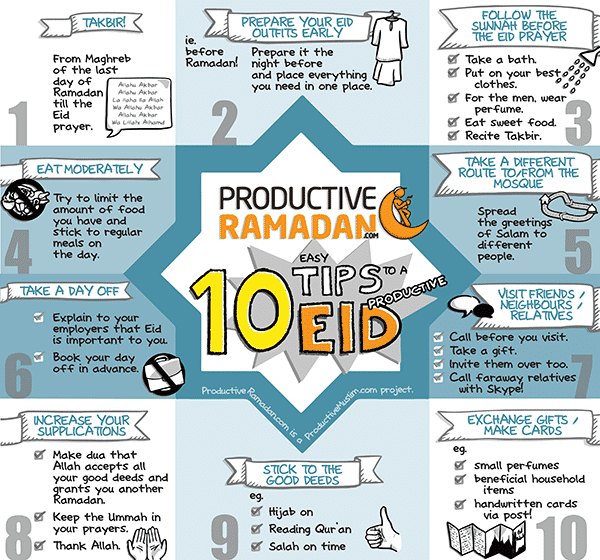 By now you’ve seen the Productive Ramadan Taskinator and, hopefully, jotted down your schedule for the month. Now let’s get down to the nitty-gritty view of each day. This is where the Productive Ramadan Daily Planner comes in. Using this worksheet, your salah gets top priority on your schedule. 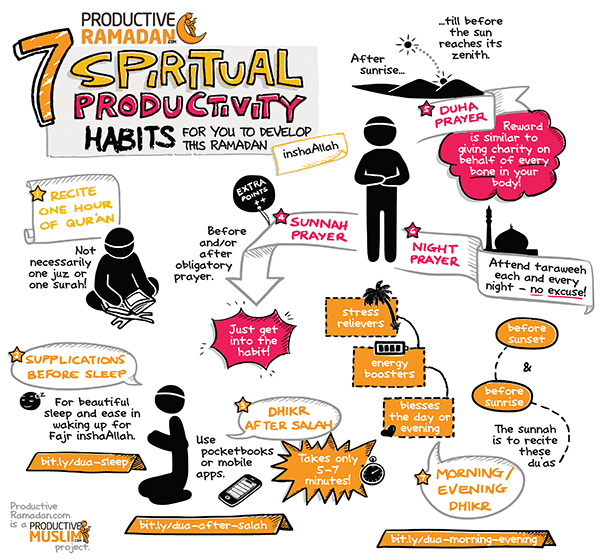 In keeping with the aim of a Productive Muslim, we try to earn barakah in our activities by praying at the allotted times and not being engaged in anything else when it’s time for salah. Alongside the schedule, this worksheet also contains brief and useful reminders to help you while planning. We recommend working on the Productive Ramadan Daily Planner during the previous night, so that you wake up with your schedule in place. All you have to do is follow the list in sequence and feel an empowering sense of accomplishment as you tick items off! When it comes to Ramadan, mothers especially, tend to panic about how they are going to reap the benefits of this blessed month while attending to their myriad regular responsibilities. Therefore we decided to make one of our special resources for moms this Ramadan. 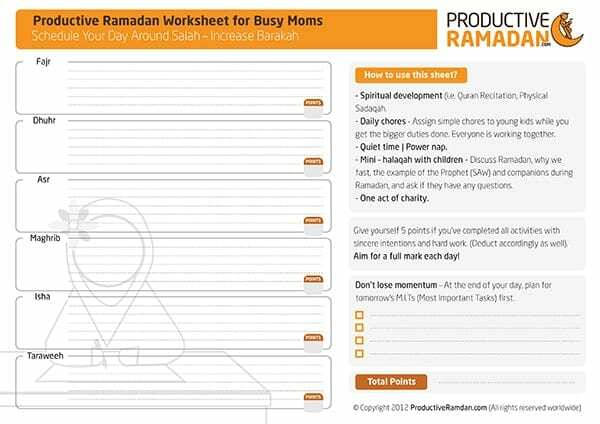 Introducing – the Productive Ramadan Worksheet for Busy Moms. This is a unique Ramadan time management tool designed by our friend and productivity design guru, David Seah from DavidSeah.com. This has got to be the most comprehensive and structured digital/printable Ramadan planner that exists mashaAllah! 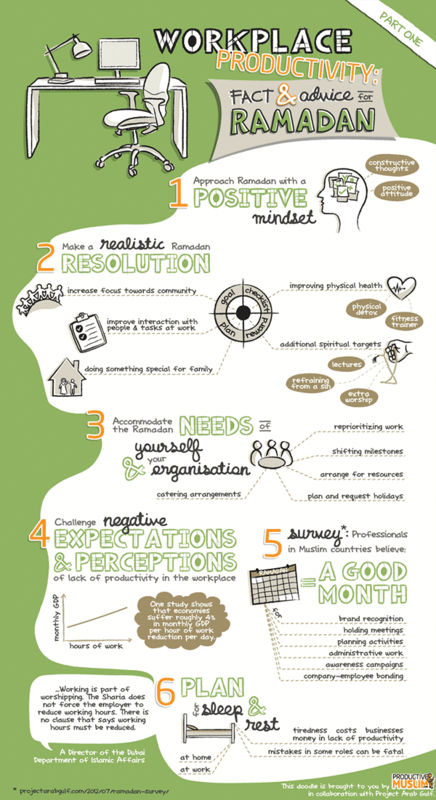 The Ramadan Battle Plan 2015 is simply the best version of its kind since it was launched a few years ago by Maria Islam of Halalify Islamic Planners. Shawwal so you’re getting your act together before Ramadan and making the most of the virtues of Shawwal too. 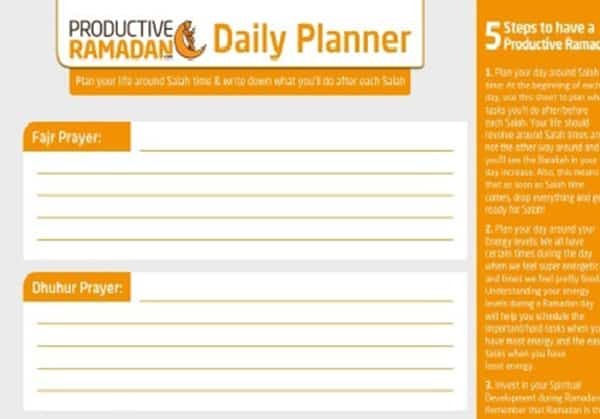 It includes a daily schedule for Ramadan mapped around prayer times followed by an hourly schedule; with check boxes for your daily water intake, number of rak’ahs prayed in taraweeh, a space for two sunnah acts you’d like to perform and a slot to plan a particular aspect of your time, energy or focus each day! 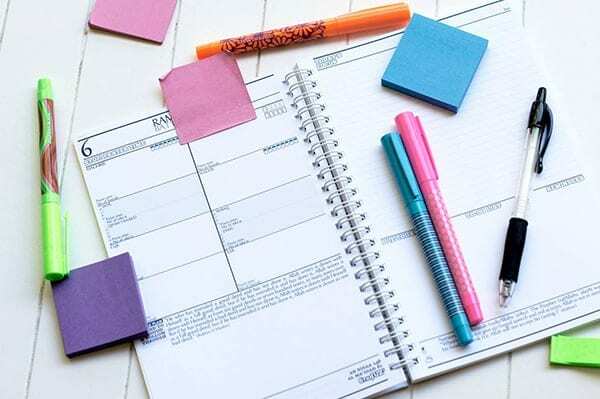 Before you get down to execution, the first section of the planner is packed with Ramadan tips, fiqh of Ramadan and zakah and the most detailed instructions to plan and set your pre-, post- and Ramadan goals like a champ, literally! 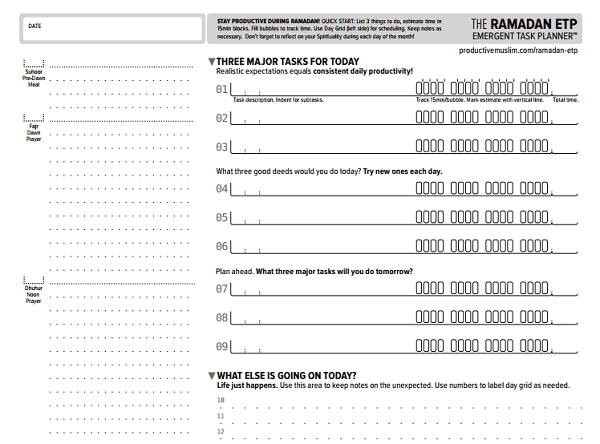 The planner also features a specific battle plan for the last ten days, a ‘Command Center’ to evaluate your performance in each third of Ramadan, a Qur’an reading roadmap and schedule to finish one reading of the Qur’an in 20 days, a master dua list to make sure you’ve captured everything you want to make dua for, ‘The Vault’ with priceless gems on the virtues of different good deeds and finally ends with a glossary of Islamic and Arabic terms used. The ‘Istafti Qalbak’ or Consult Your Heart Journal is a beautifully designed Ramadan journal created by award-winning visual artist Zohayma Montaner. Rooted in the concept of self-accountability, this colorful journal is divided into 6 sections: Qur’an, salah, sawm (fasting), dua, sadaqah and stories. The sections contain motivational gems to increase your acts of worship and target lists to track your progress throughout the month. The run-up to this year’s Ramadan has been set apart from all others by an app that’s truly revolutionary: the Ramadan Legacy App. The world’s first fully featured app For Ramadan, the Ramadan Legacy App provides a daily step-by-step guide for Muslims, a live stream of Ramadan experiences around the world, the ability to journal your daily experience and motivate your friends through sending positive notifications. 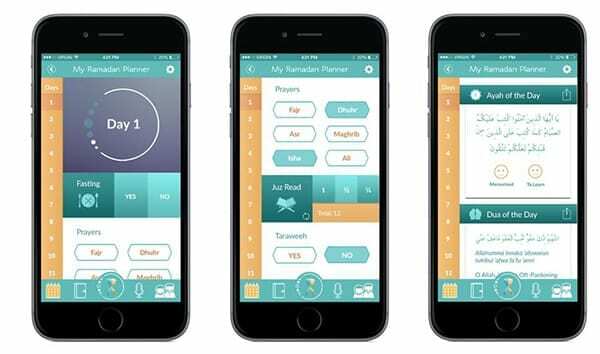 Produced by a group of young, inspiring Muslims in Scotland, the app combines smart technology and beautiful design to help you organize your worship and maximize your productivity in Ramadan. The app is packed with features to plan and track your Ramadan goals, progress and reflections; and also comes equipped with a print-ready Ramadan planner, an educational website with a historical timeline of Ramadan and an online Ramadan community to create and build your personal Ramadan legacy from one year to the next. Don’t like reading? 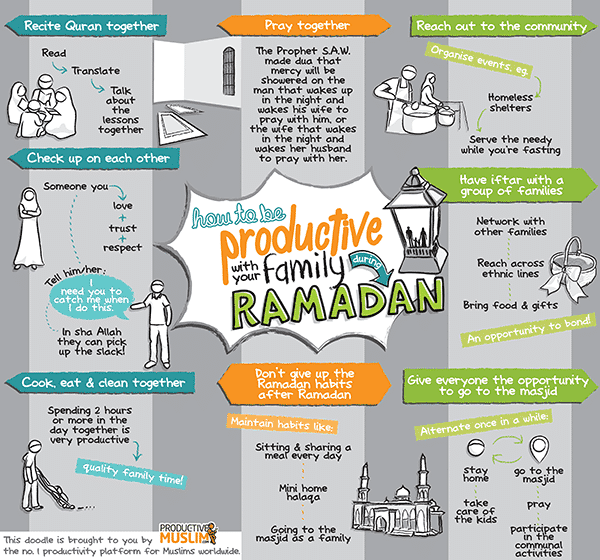 Here are our 6 top Ramadan doodles that give you a vibrant and clear visual of habits, tips and strategies you can put in place to make the most of Ramadan this year, inshaAllah! 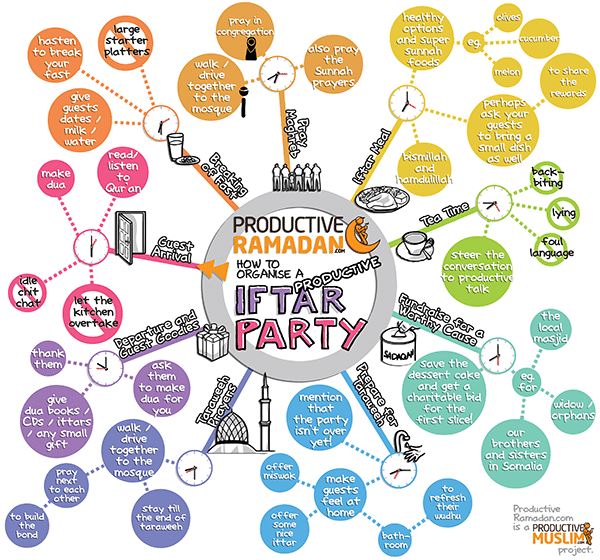 [Ramadan Doodles] How to Organize a Productive Iftar PARTY! Did you enjoy our mega list of awesome Ramadan tools? Tell us which of these tools you’re going to be using to make the most of your Ramadan this year, inshaAllah!